One of our favorite parts of wedding planning (as you can probably can tell from our company name: Cocktails & Details) is choosing the menu and signature drink. Much like the menu, the signature drink is very reflective of the couple’s personality, theme or menu. Composition and color are very important. You want to choose something that is fun, but is also going to appeal to your guest list. We had the opportunity to chat with Brian Van Flandern, master mixologist and author of the books, Craft Cocktails and Vintage Cocktails about choosing the perfect signature drink for your wedding. I think Brian and his work is utterly amazing, he’s the Daddy of the signature drink– being a Michelin three star mixologist being known all around the world. So yes– I worship in the house of Brian Van Flandern! C&D: Which is your favorite from Craft Cocktails? Brian: I am often asked what is my favorite cocktail to drink, to which I usually reply “ the one in my hand”. There are so many delicious and fun recipes in CRAFT COCKTAILS, I encourage readers to work their way through the book and find the ones that really appeal to them. There is something for everyone in this book. For me, I am partial to my house made Tonic with Gin. It is the cocktail that I created for PER SE in 2004 and it kick started the global artisanal tonic water fad. Today dozens of bars all around the world are making their own tonic water from scratch. C&D: Which would you suggest for a wedding? Brian: The Tiffany & Co. cocktails is ideal for a wedding. Served in a champagne flute with a little effervescence, it is sophisticated, elegant, taste sublime and is the perfect shade of Tiffany blue (not to mention the white ribbon tied around the base of the flute). 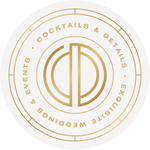 C&D: What are the keys to picking a great signature cocktail for an event that everyone will love? Brian: There are several factors to consider. You definitely want to have a cocktail that will appeal to the majority of your guests, but playing it safe with a vodka cocktail will very likely make your special drink unmemorable. In the hands of a professional mixologist, a great gin based, or even tequila based cocktail with fresh juices and herbs will be a smash hit that people will be talking about for years. Fresh ingredients, balanced flavors with an unusual twist often wins the day. For the home bartender, just remember to follow the recipe, TASTE the cocktail (before serving) and balance the acidity, sugar or alcohol. You can’t go wrong. C&D: How can garnishes, sugars, salts, etc. enhance a cocktail? Brian: Garnishes serve three purposes, first they should be functional, second they should be relevant to the other ingredients in the cocktail and third they should look consistently beautiful on each cocktail served. Sadly, many bartenders only take into consideration the visual. The right garnish can greatly enhance the flavors or aromas of a well made cocktail and contribute to all the senses, not just taste. We also caught up with award winning libationist, Joyce Garrison who is the head of the W Austin’s popular cocktail program. 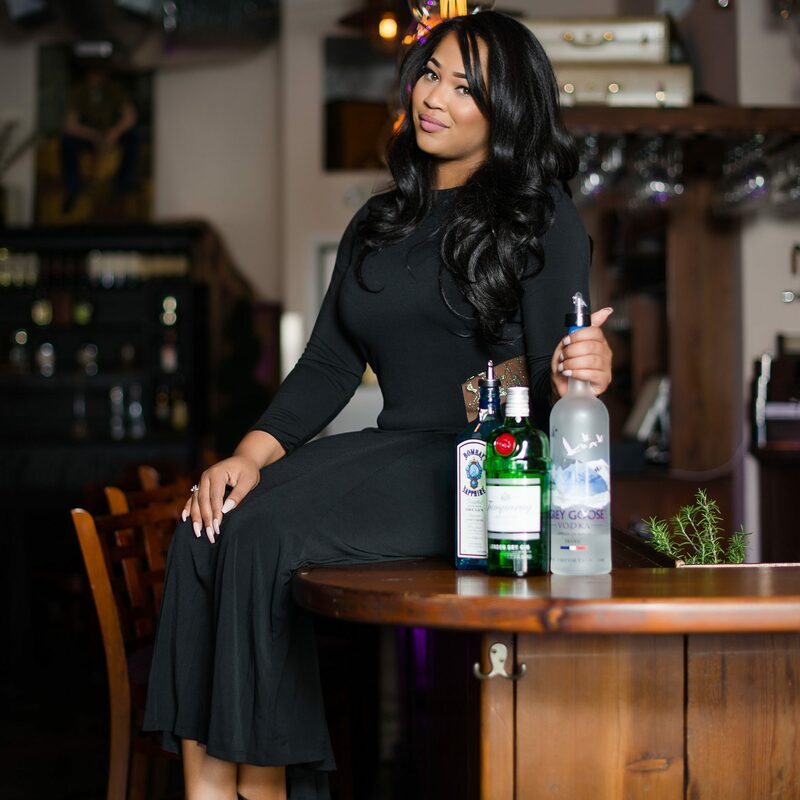 Joyce is a strong believer of incorporating unique and local flavors for a memorable signature cocktail. She even uses honey cultivated from her rooftop apiary above the hotel! Here are Joyce’s tips for creating a unique and delicious cocktail sure to wow wedding guests. 1. Make it personal – Cocktails can be very personal. Think about selecting flavors and special touches that highlight both the bride and groom’s personalities. For example, a drink that incorporates both sweet and spicy flavors (like W Austin’s Jalapeño & Cucumber Lemonade’s recipe below) is a great way to symbolize a bride with southern charm and a groom who loves spicy food. 2. Think outside the glass – Dating back to the pre-bar days, punch bowls were an important part of the community and a great way for everyone to socialize. Create a special punch to serve during cocktail hour as a way for guests to mingle or try a masculine punch to place near the Groom’s cake. For another personal touch, freeze water in a letter jello mold and have your own floating initial ice cube. 3. Keep it local & seasonal – Using seasonal, local ingredients can help integrate the wedding location and any regional features, while also keeping costs down. Check out local farmers markets to see what is in season and available near your venue. There’s no need to pair the cocktails with the food, as your signature cocktail can be an experience on its own. 4. Parting is such sweet sorrow – Receptions are usually a little crazy towards the end. Create personalized bottles of a cool-down drink for the road, such as a coconut water spritzer with a sprig of mint. This amazing parting gift is refreshing and will help guests recover from the evening’s festivities. For more inspiration ideas, follow our signature drink board on Pinterest and check out our favorite red, green and purple signature drinks!